Since our company began over 30 years ago, our mission has always been to provide useful and economical products that make an undesirable task easier, creating cleaner communities. The Dog-Bag-It Pooper Scooper is the next evolution in pet waste pick up. It enables dog walkers to clean up after their pets without having to bend over or use their hands to pick up their dog’s waste. 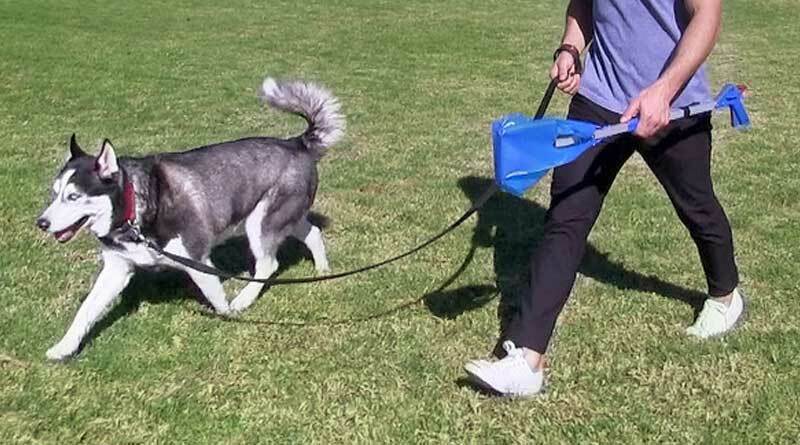 The Dog-Bag-It Pooper Scooper allows you to effortlessly pick up after your pet with one pull of a trigger. The patent pending design is made of lightweight aluminum and plastic, creating a durable and portable design that can be taken along on walks. It folds in half for easy carrying as well as for simple storage. Most importantly, the tool never touches waste. The scooper–and your hands–stay clean and odor free. The Dog-Bag-It Pooper Scooper makes dog ownership easier than before, and especially allows those with mobility restrictions to more easily walk their dogs. No longer having to bend over or crouch down, this unique tool allows for clean and easy waste pick-up for everyone, including those in wheelchairs or carrying children. Multiple bags can be preloaded on the scooper ensuring it’s ready for multiple pick-ups. It is designed to use with Doggie Walk Bags tie handle bags, but most bags can be utilized. The Dog-Bag-It is made at our office in Costa Mesa, Southern California. Our company is truly a family business with four generations contributing. Co-owners, Chris and Laura Crosson, a husband-and-wife team, work alongside their children, grandchildren, parents, neighbors, friends, and developmentally disabled students and adults from local vocational partnership programs. Everything we sell comes through our doors. The Dog-Bag-It Pooper Scooper is designed, assembled and shipped from our warehouse. Visit dogbag.com/dogbagit to learn more about this innovative product, including videos on how it works and even more features.